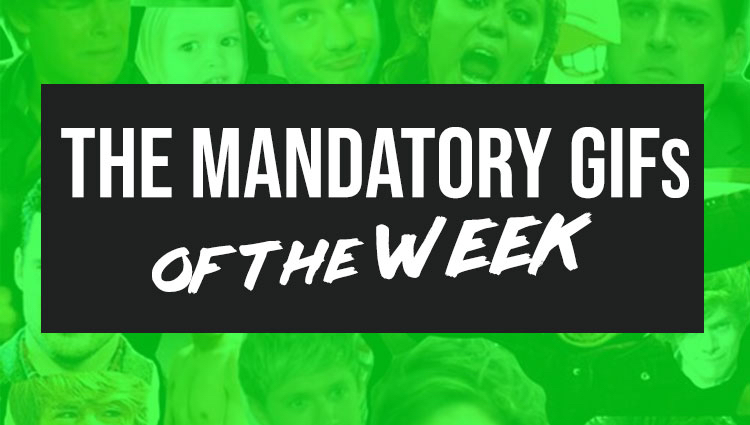 We’re back with another edition of Mandatory GIFs of the Week, and this batch is sure not to disappoint. As we make it through midweek, we’re reminded as long as we keep on chugging on we’ll make it to the weekend. At that time, happiness will surely ensue. You’ve made it through hump day and you’re well on your way, Mandatory faithful. Now take a dive through this week’s GIFs to entertain you through to Friday. ← Previous Story Emily Ratajkowski Ready To Battle A T-Rex In Her Halloween Costume! Candy Controversy: Is Licorice The Best Candy, Or The Very Worst?